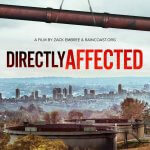 Directly Affected: Pipeline Under Pressure is a new film with everything you need to know about the Kinder Morgan pipeline battle, written and directed by Vancouver local photographer and filmmaker Zack Embree. 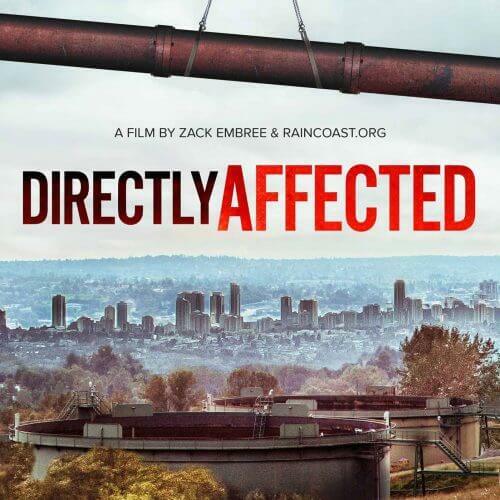 Vancouver filmmaker Zack Embree set out on a mission to understand the impacts of the Kinder Morgan pipeline on local communities and give a voice back to those who had been ignored by the National Energy Board process. He interviewed residents affected by the 2007 inlet drive spill and covered the protests on Burnaby Mountain. He journeyed to First Nations’ communities such as Fort Mackay, Alberta to witness the impacts of fossil fuel extraction, to New Brunswick where many of the energy workers are from, and to France for the Paris climate talks. What he found was a growing storm of opposition from all walks of life and confusion over Prime Minister Trudeau’s climate plan: how to achieve it while building a major oil pipeline? With Kinder Morgan’s self-imposed deadline to assure shareholders of their project’s feasibility in the face of sustained opposition by citizens and Indigenous Peoples, the evening is an opportunity to get up to speed on what barriers remain to placing an oil sands pipeline through the Salish Sea, and to find out how you can get involved. The evening is a fundraiser for the Pull Together campaign, a joint effort between RAVEN and the Sierra Club BC, providing access to justice for Indigenous Nations who are opposing the project’s approval in court. Tickets are $15 at the Artspring box office: youth under 12 are free.